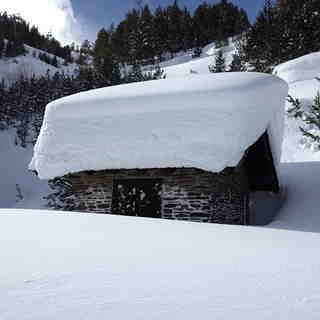 Is it snowing in Vallnord-Pal ?ありがとうございました! 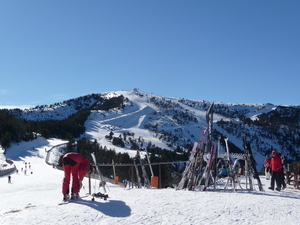 The village of Pal is quiet and picturesque, in contrast to Arinsal, where rapid development has taken over in the past few years. 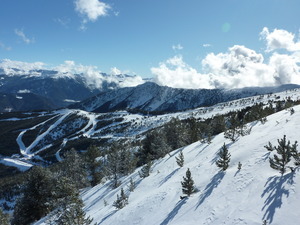 This Andorran resort divides itself into three groupings: family friendly for all ages, the Setunia sector that features slopes surrounded by forests, and the Arinsal sector, which features the highest vertical drop in Andorra. 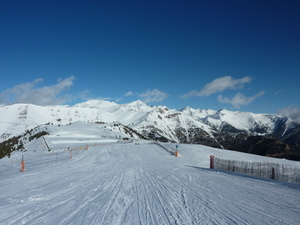 The Pal area is probably best suited to near beginners and early intermediates. 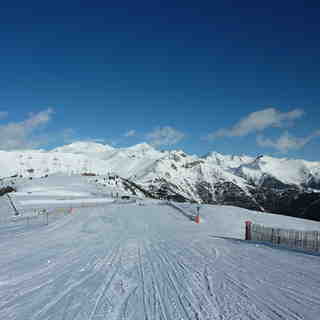 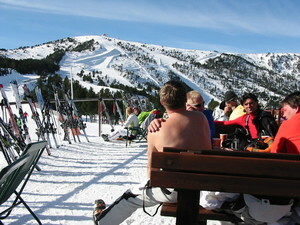 The slopes at Pal are short and wide and tree-lined, while Arinsal's are tall, narrow and have no trees.